It has been a long time coming, but the first build of Windows Live Messenger 2010 has leaked, confirming many of the features we have seen in our coverage over the past eight months. The build number, 15.2.2583.119 has been floating around the Internet since yesterday, after reports from LiveSide confirmed the leak had occurred earlier in the week. 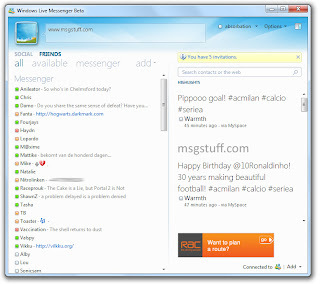 We at Messenger Stuff have installed the beta and had a close look at what Windows Live Messenger 2010 has to offer.